(APRIL 2019) – Wanner Engineering, Inc., Minneapolis, Minnesota (USA) announces the introduction of its new Hydra-Cell T200 Series Medium Pressure pumps. They feature a seal-less design that avoids the maintenance problems of mechanical or dynamic seals and packing that can leak and wear. With flow rates up to 95 gpm (359 l/min; 3258 BPD) and a maximum pressure rating of 3500 psi (241 bar) Hydra-Cell T200 models are ideal for a variety of high-capacity applications including salt water disposal (SWD), salt water injection, bulk transfer and hydraulic lift in oil fields, as well as steam generation, Reverse Osmosis in water and wastewater treatment, mine dewatering, boiler feed, and high-pressure cleaning, the company states. The seal-less design means that Hydra-Cell T200 pumps do not have a leak path and therefore eliminate hazardous VOC emissions and the clean-up and disposal costs of packed-pump leakage. 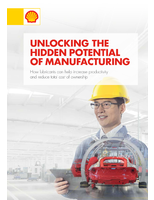 This also eliminates the need for external lubrication and maintenance as well as plunger wear problems associated with packing, Wanner Engineering states. 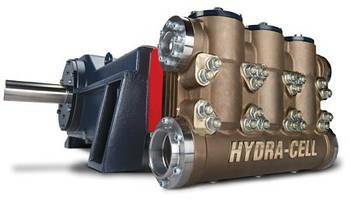 Hydra-Cell T200 Series pumps can run dry without damage, will operate with a closed or blocked suction line, and can pump hot abrasive fluids effectively. 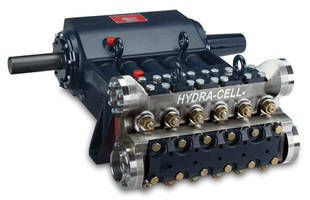 The patented, seal-less Hydra-Cell T200 Series pumps employ hydraulically-balanced, multiple diaphragms that enable the pump to handle high pressures with low stress and process abrasive particulates up to 800 microns in size, according to the company. Low-Pressure, Seal-Less Pumps have zero leakage design. 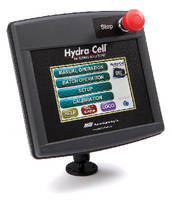 Touchscreen Pump Controller features built-in programming. 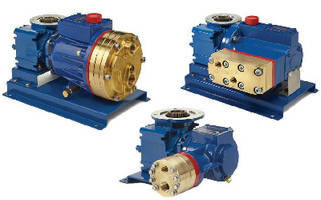 Metering Pumps offer brass manifold option. Methanol Injection Packages prevent hydrate formation. EODD Pump offers alternative to air operated units. Liquid Diaphragm Pump offers bubble-free operation.